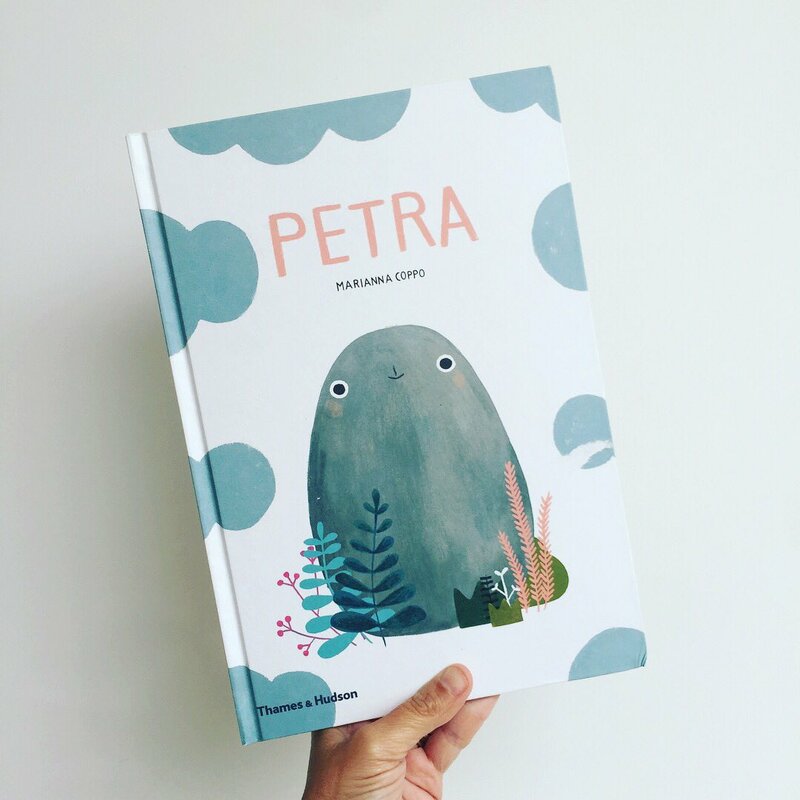 We initially spied this eye-catchingly simple book on Instagram over a year ago and just knew it’d be a complete winner. Those lovely people at Lapis Edizioni kindly sent us a review copy last year and finally, we have our sticky mitts on the English co-edition due to be published by Thames & Hudson in October. ‘Petra‘ is a stone, but this is no normal stone, no, this is an extraordinary stone. She is an egg, a mountain, an island. 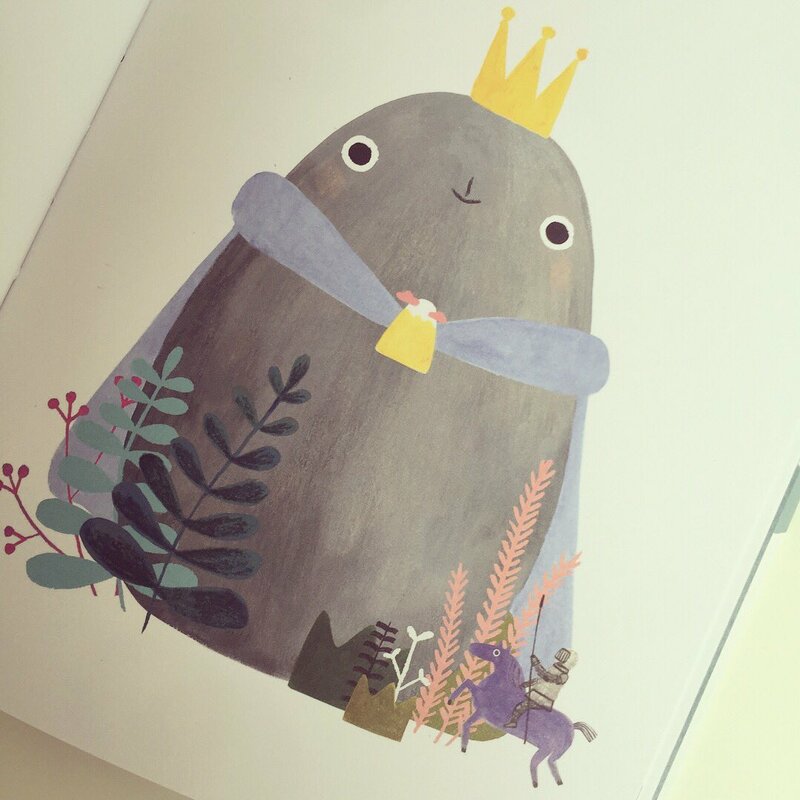 A most surprising tale with simply stunningly illustrations. Until that is, one day when an inquisitive dog takes a fancy to the lone stone and decides to uproot Petra and move her from the spot where she always stood. The stone is thrust into a completely new environment, but how will Petra cope in her new surroundings? And what will become of the solitary stone? 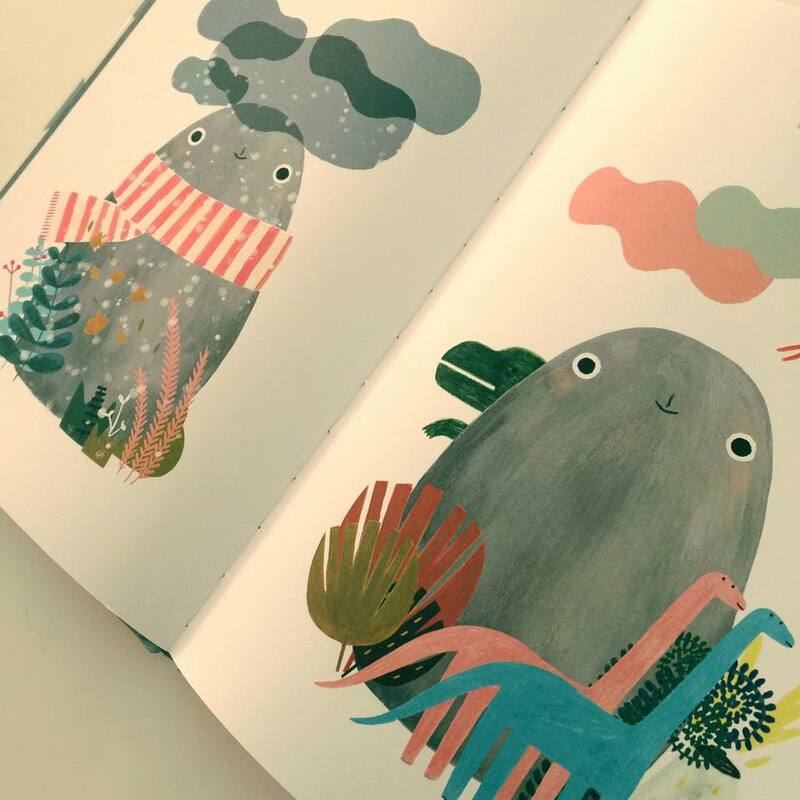 Marianna Coppo‘s subtle and understated illustrations are full of character and texture and you can’t help but take this inanimate object to your heart from the first glance at the cover. The expressiveness in those two large eyes and the little mouth, encapsulate all that’s great about this utterly adorable character. 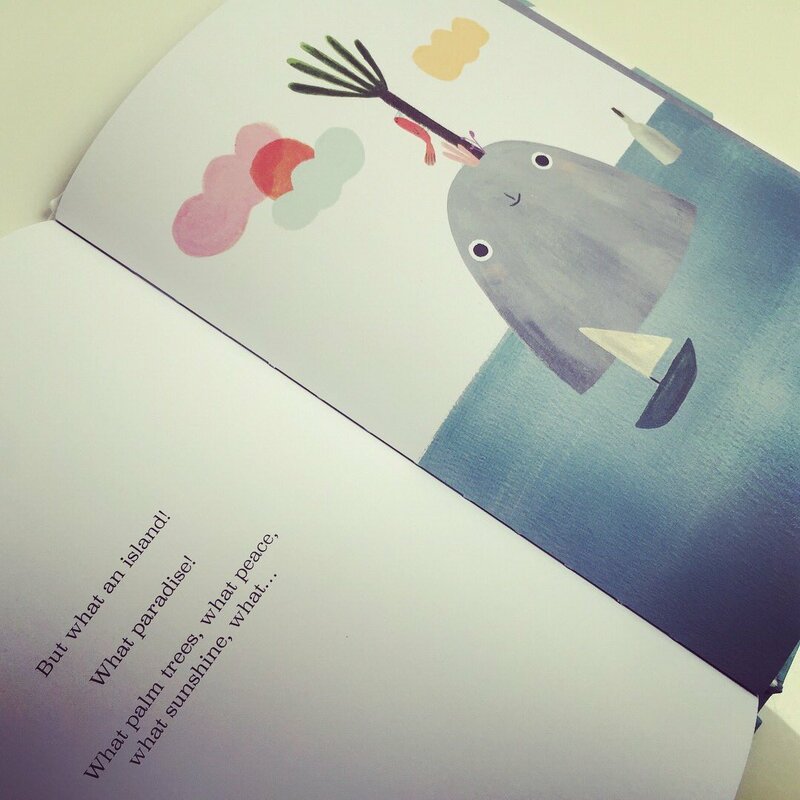 The playful way in which perspective is used too, is very clever and provides a surprising twist in this most adorable story. A simple yet powerful story clearly illustrating the power of perspective and the strength of our imaginations. 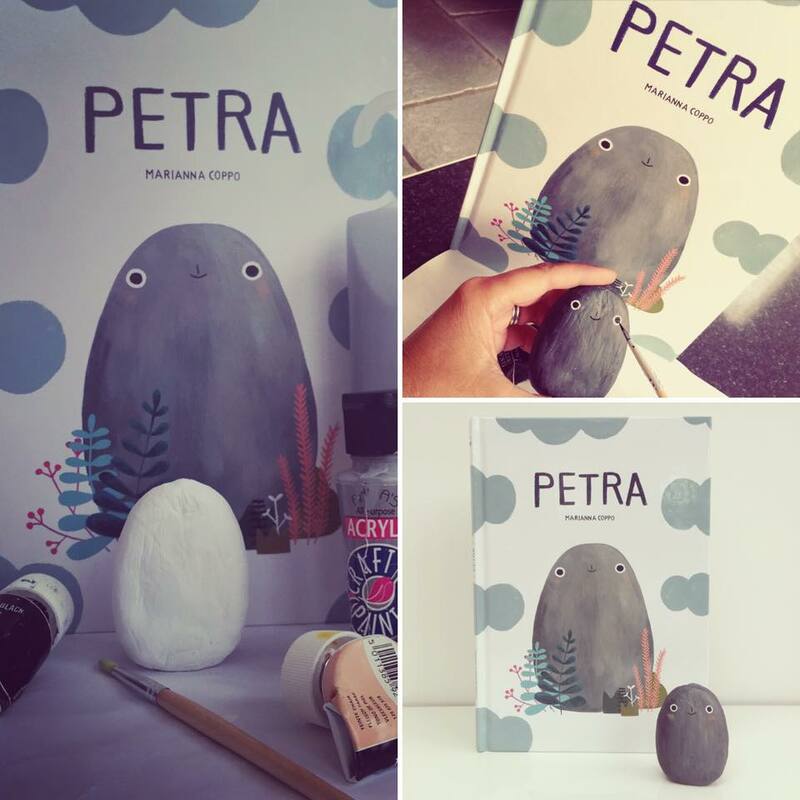 Petra inspired us to make our own pet rocks and encouraged us to make our very own Petra. Watch out for her coming to a shelf near you soon! This was such a fantastic review that I immediately set out to order the book from Italy! Thanks for showcasing it! !